A PhD scholarship in sustainable development is available at Lund University. The funding allows successful candidate to work for four years. Applications are welcome before April 03, 2019. Agenda 2030 is the framework for sustainable development that the world’s nations have signed to end extreme poverty, reduce inequalities, solve the climate crisis, promote peace and equity and much more. In order to achieve the goals, research has several important roles: to identify challenges and conflicting objectives, contribute new solutions, generate dialogue and learning between different societal stakeholders and critically analyse the goals. Lund University aspires to be a part of the solution and has therefore started a graduate school focusing on research on societal challenges, sustainability issues and Agenda 2030. We seek applicants from various disciplinary backgrounds who want to take an active role in Agenda 2030 research. The graduate school offers a unique opportunity to gain interdisciplinary perspectives on global challenges and contribute to current research while deepening your subject knowledge. 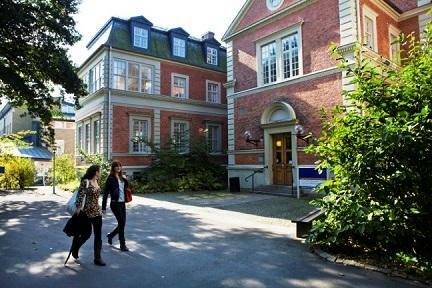 The graduate school will have at least 12 doctoral students from all faculties of Lund University. You will be associated with a specific research studies programme, and simultaneously take part in the university-wide interdisciplinary research studies courses, developed on the basis of the issues defined by the global goals. The courses will provide the possibility to develop new forms of collaboration and work for change across disciplinary boundaries. Besides the research studies courses, you will participate in several activities linked to the graduate school in order to take an active part in the global sustainability agenda and to advance the research front on issues concerning Agenda 2030, for example through seminars, conferences, study trips and collaboration with various societal stakeholders. With the developments in electrification and digitalization many new business models for individual and public transportation are being developed that have the potential to reduce environmental harms from the mobility sector. The questions in this project revolve around how these new business models are marketed and how they are perceived and used by travelers, and also, what potential they have to gain wide acceptance and use so that demand for current emission intensive personal transportation can decrease. The project is expected to use quantitative and/or experimental methods to draw generalizable conclusions that will benefit researchers, practitioners and decision makers inside and outside academia. In addition to connecton to the 2030 gradute school the doctoral candidate will have the possibility of participating in K2, Sweden’s national center for research and education on public transport at Lund University. Growing inequality, apocalyptic environmental damage, and the protracted effects of a global financial crisis have resulted in a discussion on the role of our monetary system for the organization of society. At the same time, new technological and financial developments are giving rise to much experimentation on new forms of money. From community currencies to blockchain-based systems, a new breed of social and grassroots entrepreneurs build on the possibilities of new monetary technologies to address some of today's global challenges. This PhD position is to look at how social entrepreneurs re-imagine, re-organize and re-claim money to address social, ecological and economic challenges. Applications are welcome for PhD projects that focus on the institutional arrangements, practices and social norms communities develop as they govern and manage grassroots innovations for inclusive economic growth in informal urban settlements. To be qualified the applicant must hold a master's degree and have completed 240 ECTS credits of university studies, including at least 60 second-cycle credits. Of these at least 90 credits must be accomplished in a subject relevant to the third-cycle study programme, including a degree project relevant to the research studies, equivalent to at least 15 credits. A person may also meet the specific entry requirements if he or she has acquired substantially equivalent knowledge in some other way in Sweden or abroad. Applicants must possess very high proficiency in English, in speech and writing. Knowledge in Swedish is a strong merit. Applicants will be assessed on the basis of their prospects of meeting the requirements for a doctoral degree (PhD) in Business Administration. The PhD student will be expected to conduct research in the context of the Agenda 2030 graduate school and projects focused on social entrepreneurship and monetary grassroots innovation or marketing of new business models in transport will be given preference. The salaried position as PhD student is a four-year full-time employment at the Department of Business Administration, Lund University School of Economics and Management, Lund. Limit of tenure, four years according to HF 5 kap 7. Regulations concerning appointment as a PhD student can be found in the Higher Education Ordinance Chapter 5, 1-7 and SFS 1998:80. For appointment to the position, the applicant is required to be eligible for admission to the doctoral (PhD) programme in Business Administration. All submitted documents must be attested as to their authenticity.